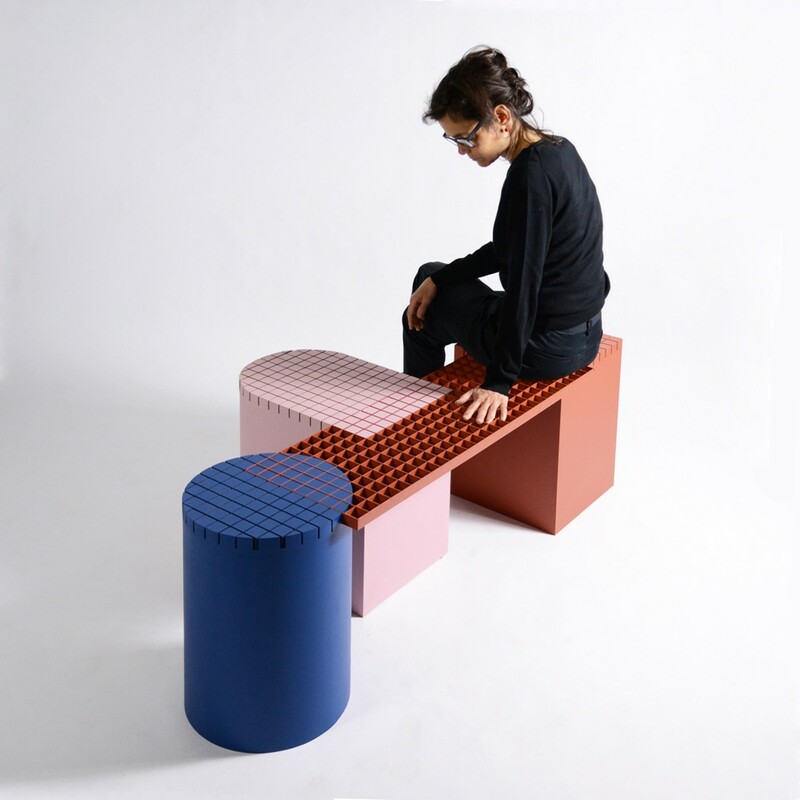 The founders of Nortstudio, located in the city of Anvers in Belgium, have designed Urban Shapes, an ingenious, modular and colourful bench. 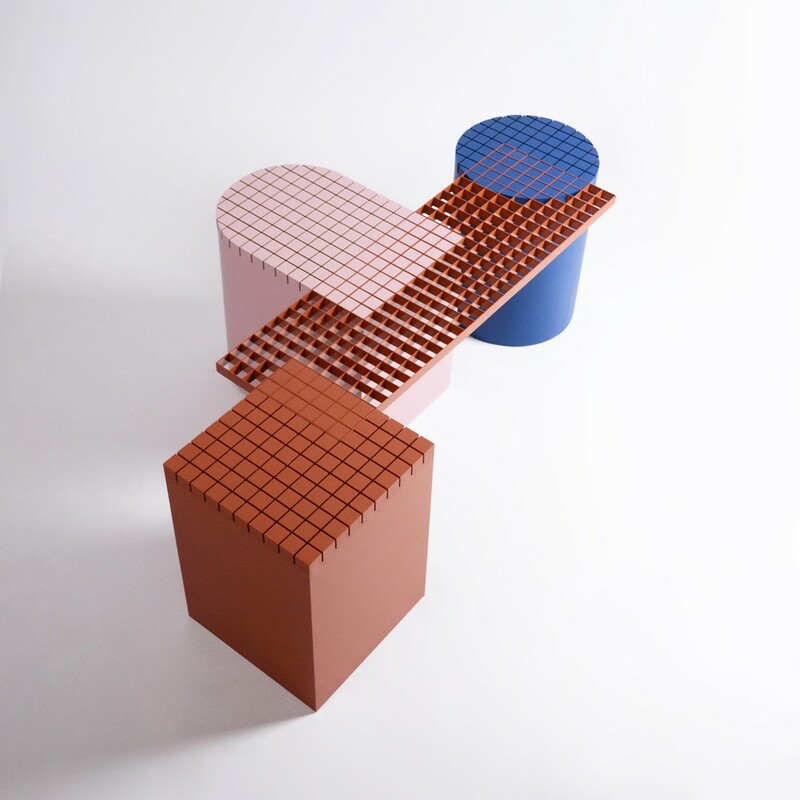 Jef De Brabander and Kathleen Opdenacker were inspired by the city and, in particular, construction materials to create a four-piece bench connected by a grid. 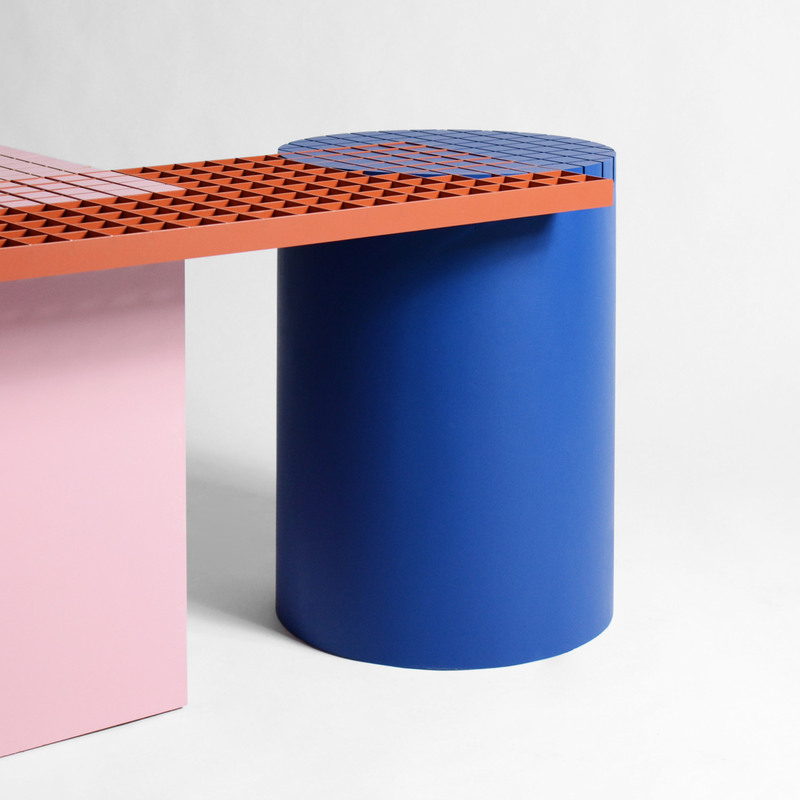 The base of the Urban Shapes bench consists of three coloured stools that resemble children’s building blocks: an orange cube, a dark blue cylinder and a pale pink curved cube. Each part is subtly reminiscent of construction materials, drawing inspiration from industrial pipes and steel beams. 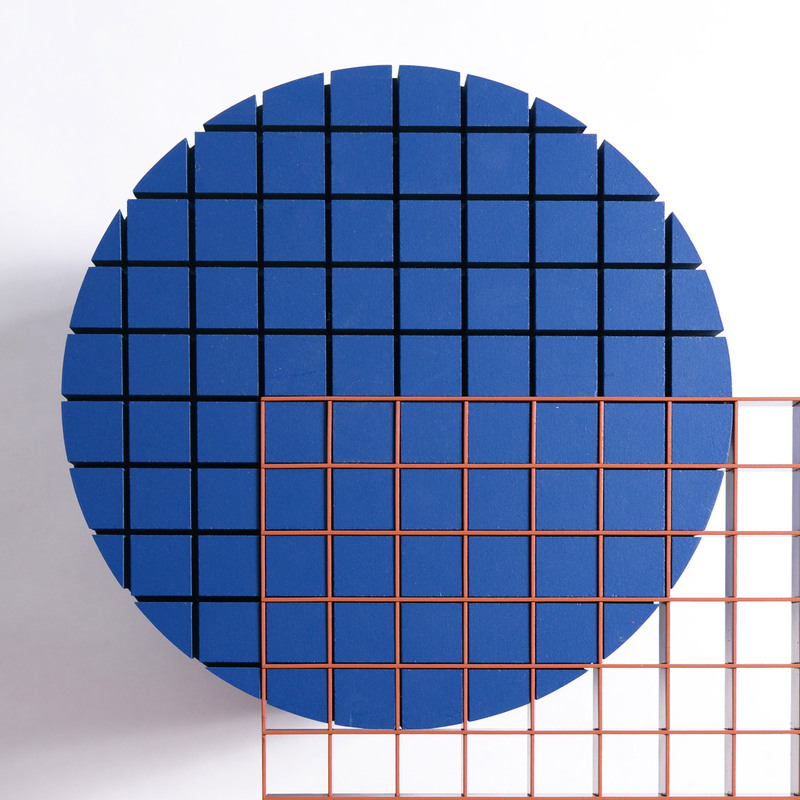 The originality of the system comes from the way the blocks are nested, thanks to a central grid made of orange steel. The components can thus fit together in several possible ways with the help of various grooves, creating many possible configurations and arrangements. 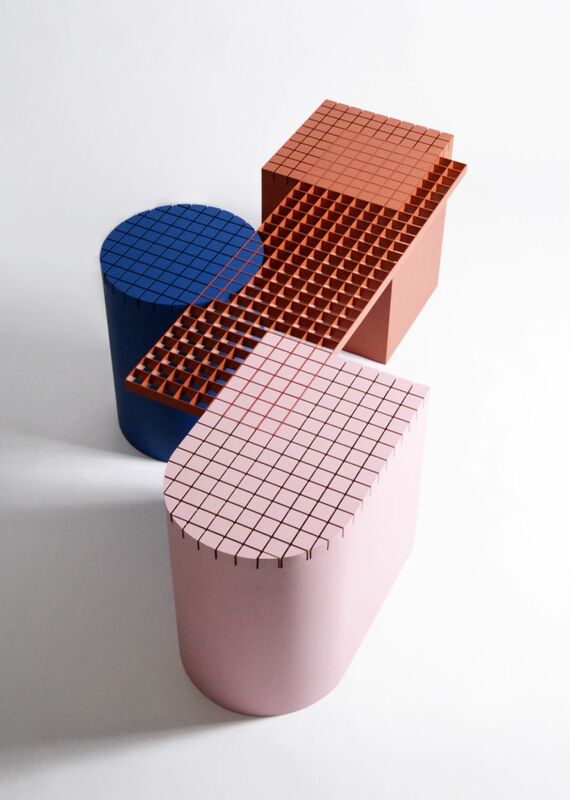 “By using materials and shapes outside of their usual context and combining them in a completely different way, a unique tension is created”, explain the Nortstudio designers. 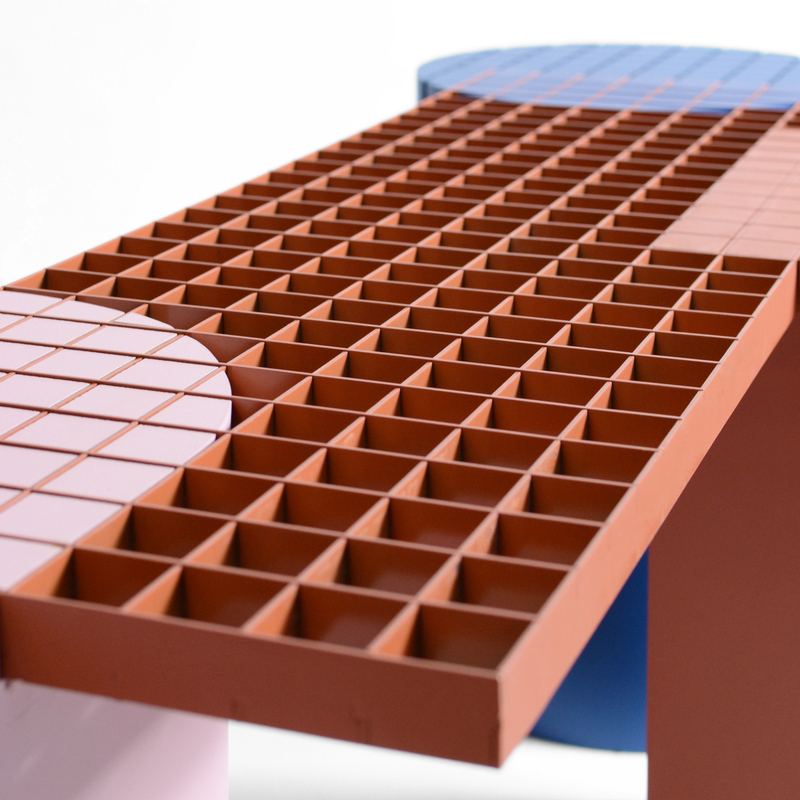 Beyond its utilitarian aspect, the graphic lines, colour play and unusual geometrical shapes of the bench confer it an aesthetic dimension which transforms it into a true object of design which can be adapted according to individual wishes and the taste.